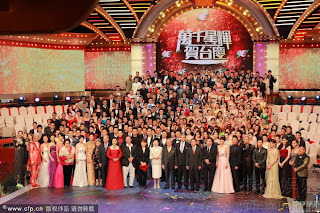 TVB 46th Anniversary Gala was held last night at Tseung Kwan O TVB City. There were 400 artists and singers in attendance, many great performances and HK$6 million worth of prizes given out. A very lively atmosphere. 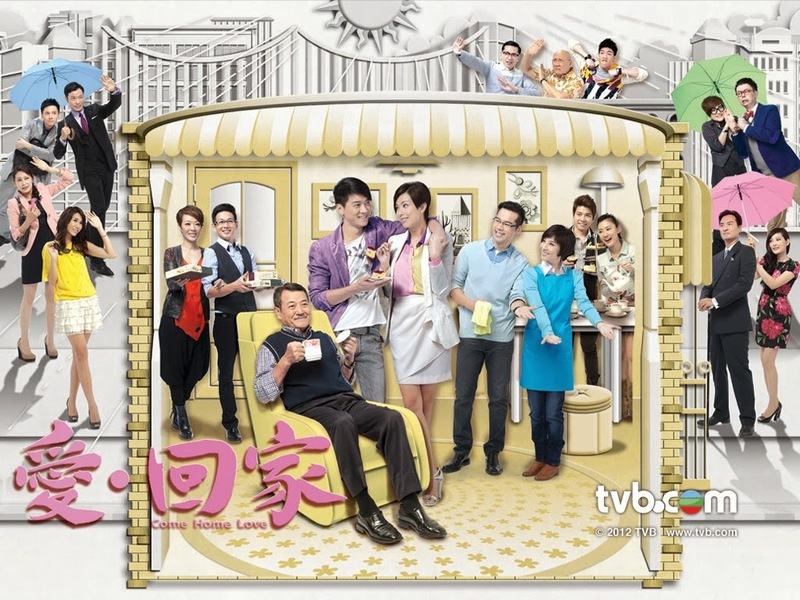 According to the report announced by TVB yesterday, the average rating was 29 points, and peaked at 31 points. The audience share percentage was even higher, 97% (31PTS) and 95% (29PTS). There were about 2 million viewers that tuned at the peak rating. 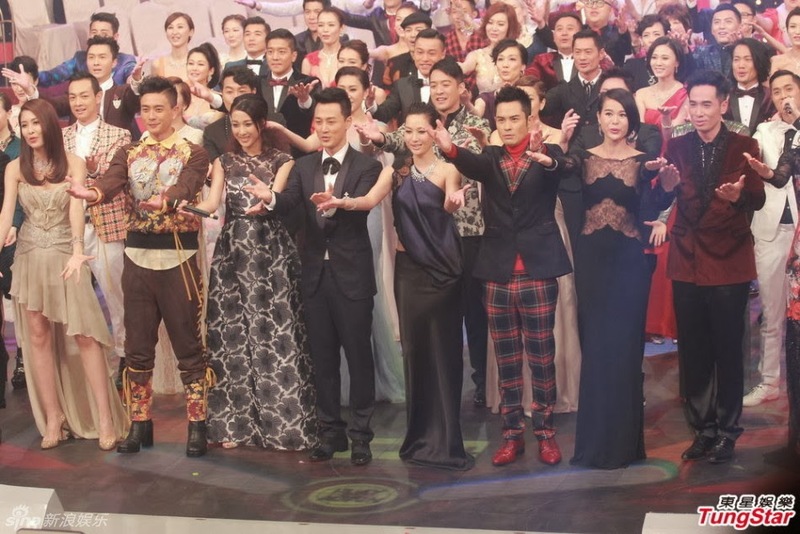 The ratings peaked at 9:58PM during the "TVB Pre-Anniversary Event" when the artists voted for their "TV King and Queen", which went to the 'Stunned' Kenneth Ma and 'Burst in Tears' Kristal Tin. Veteran actress Law Lan was named the "Most Powerful Artist". 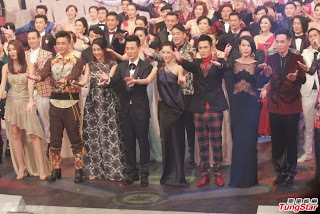 Despite the recent HK television crisis, TVB still maintained satisfactory results at their anniversary night. TVB Chairman Norman Leung was very pleased with the ratings and pledged to donate HK$3.1 million to seven charitable organizations. Initially, he had planned to donate HK$420,000 to each charity, but later added it to HK$460,000 to match the 46th anniversary year. This makes a new grand total of HK$3.2 million. TVB will also be holding two celebration banquets to reward the artists and behind-the-scenes crew. The first celebration is a 20 table banquet held at a five star hotel on November 25th. The banquet will be hosted for the behind-the-scenes crew, and each guest will have the opportunity to win one of the 46 red envelopes through a raffle drawing; each red envelope has $4,600 in it. On November 29th, a large celebration will be held at TVB City, where 200 behind-the-scenes crew will be invited to attend. Norman Leung will be giving out red wine as well. Last night, Mr. Leung expressed: "The 46th anniversary show was 2.5 hours long, there was not a minute of down time. The performances were wonderful. Big thanks to Sandy Yue and the 400 artists for all their hard efforts. We all had one heart, very united and filled with team spirit. Its like a big family." TVB Executive Director of Corporate Communications, Mr. Tsang Sing Ming, expressed: "The 31 points rating is just an initial rating. Today's television viewers' habits has changed, many enjoy watching online such as on MyTV. The MyTV ratings will be announced next week. I believe this will increase the ratings."